I hadn’t planned on posting any Valentine’s projects until next week but this past Monday I saw this blog post from a blogger with a very, very sick 5 year old daughter who is in the last days of her life. It was heartbreaking to read and I can’t even begin to imagine what this family is going through. The family did have one request though, they want to fill little Lucy’s hospital room with hearts in honor of Valentine’s Day. As soon as I read the request I went straight to my office and made this paper garland-it’s already in the mail to her as you read this. I’m hoping this post might inspire many of you to send some love her way as well. I fully plan on making another of these to decorate my mantel this Valentine’s Day but in the meantime I hope this one can bring at least a little light to a family in need of some love. I do hope you’ll join me in supporting them, again here is the blog post where you can read their request. What a great idea. I can’t really sew, but I bet I could make them some other way. Thanks for letting us know about this great project idea. You have such a generous heart, Melissa. Such a sweet gift… Popping over to read her story. melissa, thanks so much for helping spread the word about Lucy! it’s so heartbreaking but beautiful to see all the love pour in. Brutiful!! Thank you for putting it out Kristi, it just had me in tears reading their story…I’m praying their mailbox is overflowing with crafted hearts coming in. Thanks so much Janice, this was definitely an easy and fast craft and I was very happy to send it to hopefully cheer the family a bit! absolutely love this, melissa! featuring you tomorrow morning! 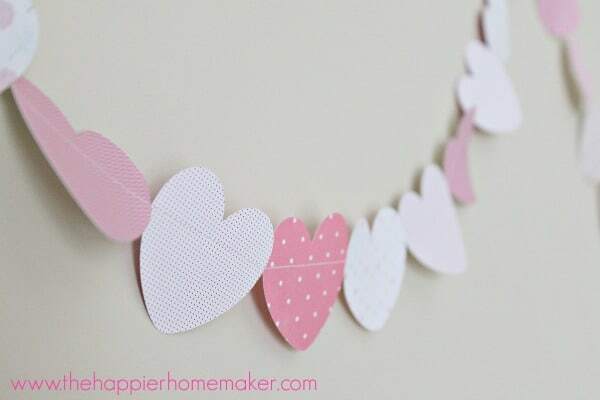 Looking for something Valentine to make & found your paper heart garland. Had to make one out of beautiful pastels to send to the family of Lucy. Thanks for sharing their story & reminding us to Pay-It-Forward. 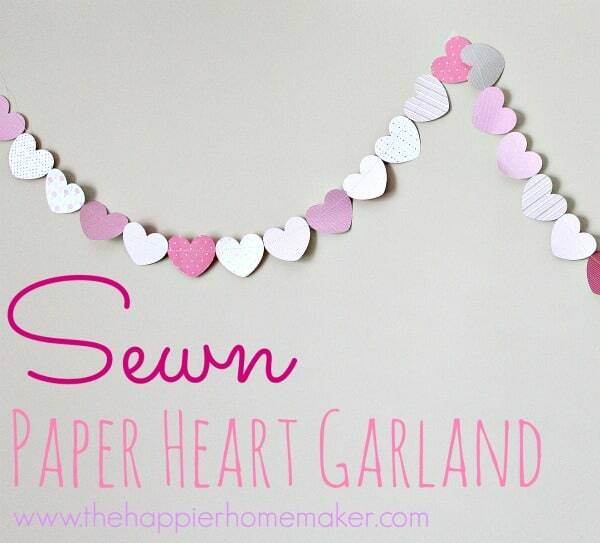 Sending a little heart garland their way. Oh thank you so much Michelle, it warms my heart to hear that! This is so darn cute! What a great thing to do for the little sick girl. I haven’t ever sewn paper before so thanks for this great idea. 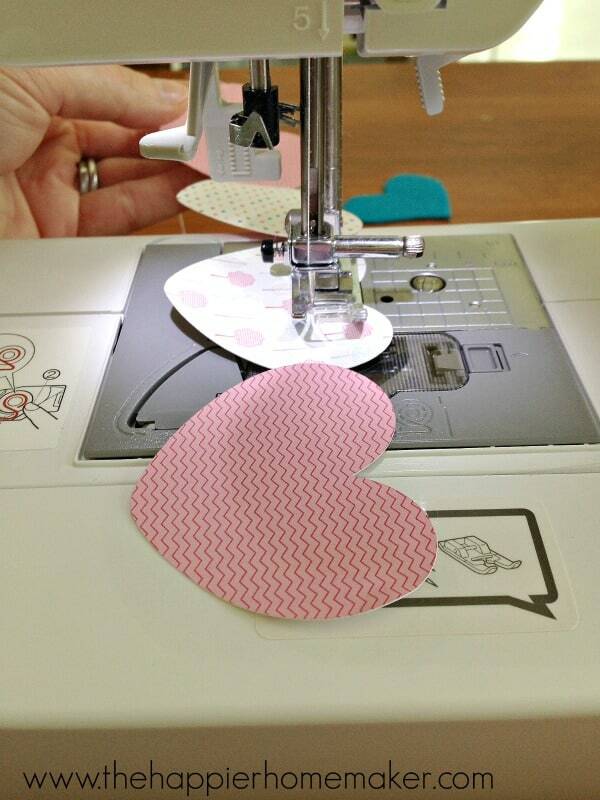 I think I could use my heart paper puncher to try this myself. I saw your post over at Debbie Doos blog party.